The heart is one of the most essential and Central working organs of the human body. It is a muscular pump that is the main part of the cardiovascular system and its major function is to pump deoxygenated blood to the lungs and oxygenated blood to the body. The first heart beat in starting from the womb and ends at the time of death. During infancy, the heart beats around 120 times a minute. This heart beat decreases to an average of 72 beats per minute when a person grows from baby to young human being. Generally Human Heart is divided into two sides, a right, and a left. Each side consists of an upper chamber called an atrium, and a lower chamber called a ventricle. An Artery is a blood vessel which carries blood from the heart to the body, while a vein carries blood from the body to the heart. Blood enters the heart at the right atrium and then flows into the right ventricle from where it is pumped into the lungs via the pulmonary artery. The lungs eliminate carbon dioxide from the blood and change it with oxygen. The oxygen-rich blood leaves the lungs and enters the left atrium via the pulmonary vein, and then it flows into the left ventricle. The left ventricle, pumps the oxygenated blood out of the body via aorta. The pulmonary artery is the single artery in the body that hold deoxygenated blood, and the pulmonary vein is the single vein that takes oxygenated blood. Fats are one of the worst elements of the heart; if you reduce the fats your heart will be very healthy for always. To reduce these fats you must avoid foods such as red meat, dairy products, deep-fried foods, packaged snacks, and margarine. The healthy heart food includes grains, and albacore tuna and salmon, which are rich in omega-3 fatty acids. 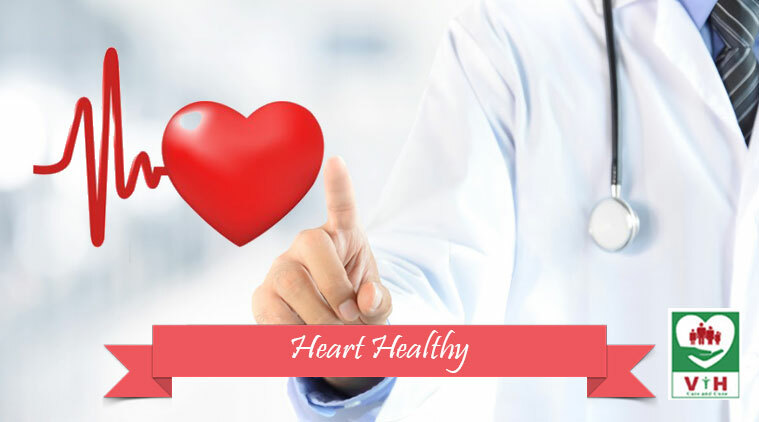 Here Dr.Thillal Vallal, the leading Cardiologist in Chennai always request to take healthy foods to keep heart healthy. It is very essential for everybody to know the symptoms of a heart attack. If you believe that you or anyone around you is having any of these signs and symptoms, call to a hospital emergency. The symptoms of a heart attack maybe vary from one person to another person. Ache or pain in your Chest. Discomfort in your Arm(s), Shoulder(s), Neck, Jaw or Back. Smoking Causes Cancer, it also causes heart attack. Avoid smoking is also a smart way to protect the heart. Smoking reduces the quantity of oxygen in the blood; as a result, the heart gets work harder to obtain the oxygen, which also increases the heart rate and blood pressure. Venkataeswara Hospitals is the best hospitals in India always advise their patients to take healthy foods to keep a healthy heart.